Born in Saharanpur, India in 1968 and currently based in New Delhi. Khurana uses her own body as a medium of expression, depicting our relationship to society using a variety of media including performance and video. 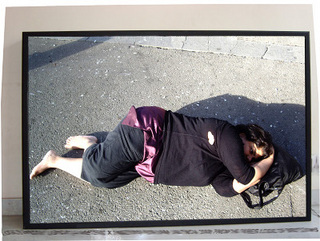 For the performing arts section of the Aichi Triennale, she will stage a performance in which she lies down in a public space ‒ the ultimate expression of a personal encounter with the urban space of a city. Khurana will also be presenting an installation made up of photographs and videos in the visual arts section.